The aim of this Mestrelab software development project is to facilitate the publication of analytical data as supplementary information to patents and scientific articles. Integrity: there have been instances of fraud through tampering with the analytical data supporting published work. 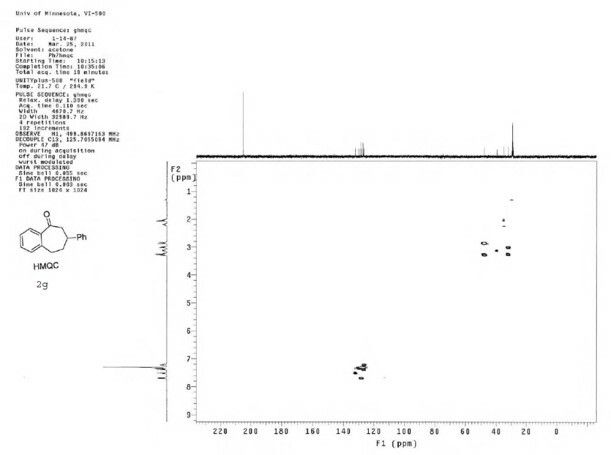 This tampering becomes easily detectable when the raw data are made available. Also, in many cases bona fide errors have led to miss assignment of structures, which again, can be identified by having access to the raw data. Replicability: others can reproduce the work an author has published. Reuse: data have the potential to be further analysed with more advanced analysis tools. Interactivity: the data supporting a publication becomes live, allowing others to interact with it in the same way the author has done. Knowledge base building – a community resource. The main objection to the inclusion of primary raw data with Supplementary Information (SI) is the fact that this process is labour intensive, on top of the already time consuming preparation of the standard SI. A further objection is the concern that some reviewers or the public may not have the right tools to view and interact with the data, which has been a reason to settle for a standard format available to anyone for the presentation of this data (PDF). minimise the amount of time needed to prepare both the current SI and the added primary raw data. provide a tool which allows anyone, without a cost, to view and reanalyze the primary raw data provided with the article. 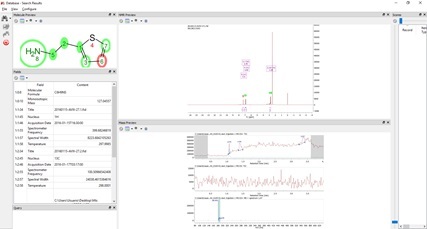 Authors need a license to Mestrelab’s software Mnova, for the processing and analysis of their analytical data (NMR, LCMS and/or GCMS, with further techniques such as UV/VIS, IR and RAMAN coming soon). Once authors have got their data processed, analysed and organised in Mnova format, authors can generate SI ready documents in .odt format with one click. A set of Mnova documents or, for easier organization, searching and publishing, the Mnova spectral database (Mnova DB) would be an ideal tool. Documentation Toolkit will generate a publication quality .odt file in Patent, Organic Letters or ACS Journals format. This file will contain the relevant authoring and identification metadata, as well as all the images of the analytical data supporting the publication. It can be easily converted to a publication ready PDF once the author has made any further edits. The Documentation Toolkit will also prepare, without any additional work, a .zip file with all the primary raw data which generated the SI document, ready for submission with the SI PDF. Publishers can register with Mestrelab, at no cost, for approval to participate in the Mpublish scheme. Once approved, publishers can digitally sign the .zip files with the primary raw data. Digitally signed primary raw data can be opened, viewed, reprocessed and analysed with Mnova without the need for a Mnova license. By digitally signing the raw data, publishers can ensure that anyone can review it, without a need for purchasing a commercial software to handle analytical data. Once the data has been digitally signed by the publisher, it can be opened by the standard Mnova software, without a software license. Anyone wanting a tool to review the data can download Mnova and use it for data interaction. This is a fully featured version of Mnova, and therefore, users are not limited to data visualization, but can reproduce any processing or analysis operations. The first thing you can do is to download last version of Mnova here and if you would like to know more about this Documentation Toolkit please do not hesitate to contact us.